Accounting may be one of the most secure career paths available. From corporations looking for qualified professionals to keep track of massive earnings, expenses, and investments, to private individuals, self-employed freelancers, and entrepreneurs who need help doing their taxes, accountants are always in demand. It’s a field that lends itself to 9-5 corporate work, private practice, and everything in between, making it one of the most flexible professions as well. It’s also a career on the rise. According to the Bureau of Labor Statistics, AA/AAS/AS degree job opportunities are expected to grow by 17.6% through 2022 – making it the second fastest growing educational group. Professionals with an associate’s degree earn an estimated $325,000 more in a lifetime than those with just a high school diploma. Furthermore, the median salary for accountants figured at $67,190 per year, with growth in the field at 11%. While some positions, especially managerial or leadership roles, require a bachelor’s or even master’s degree, many positions are available with just an AS in Accounting: actuary, auditor, budget analyst, financial analyst, and tax examiner, to name a few. Many people looking for an associate’s degree are already working adults – perhaps administrative assistants or secretaries seeking a higher salary, or office workers who find they are good with numbers. It’s common for working adults to look to an online degree to increase their credentials, and of course, many do not have a lot of disposable income for school. The Value Colleges Most Affordable lists lay it all on the line – what are the cheapest reputable online degrees out there? Note that Value Colleges’ Most Affordable lists are ranked solely on cost, lowest to highest. A U.S. News & World Report top 20 regional institution, Indiana Wesleyan University is a mid-sized, private Christian university that exemplifies and emphasizes evangelical values, moral responsibility, and community service and engagement. Named one of the most conservative colleges in the US, IWU, while affiliated with the Wesleyan Church, attracts students of many denominations and faiths from all over the nation with their combination of excellence and affordability. Indiana Wesleyan is uniquely Christian, with all of their programs taught from an explicitly Biblical worldview and framework to instill their graduates with ethical, bible-centered practices. IWU’s Associate of Science in Accounting provides a foundation of skills to use in your career in business and accounting analysis. The online ASA uses a cohort system to encourage cooperation and interaction, and their convenient, flexible scheduling allows working adult students to finish their degree in only 2 years. The DeVoe School of Business also offers an Accounting Bridge program if one chooses to further their study from the associate’s and acquire an advanced degree (Bachelor’s/Master’s). At one of the lowest tuition rates in the nation, Indiana Wesleyan has become a nationally-known name for value. An accredited, private university based in Fort Lauderdale, FL, Keiser University was founded as a for-profit professional and technical school in 1977 before becoming a non-profit entity in 2011. 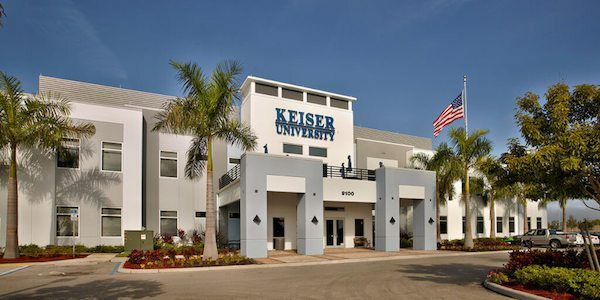 Keiser’s focus on practical education for working adult students – especially in nursing, healthcare, computer science, business, and law – has made it highly successful, with more than 20,000 students, and it has been recognized by U.S. News & World Report as the top regional college in Florida. With their emphasis on adult learners, Keiser has not surprisingly created a strong, diverse slate of online degree programs in the Keiser eCampus. Keiser’s eCampus offers an Associates of Arts degree in Accounting for those seeking entry-level job training to be an effective Accountant. Students will learn basic software for accounting, common financial skills, and the taxation standards and processes. With Keiser’s low tuition rates and growing reputation, it’s a solid investment to get started in a lifelong career. Colorado Technical University is a for-profit technical and professional educator that has made its reputation with online and distance programs. Founded in 1965, Colorado Tech was intended to provide educational opportunity for the large military population of Aurora (a Colorado Springs suburb), but has since grown into a much larger institution, ranked by U.S. News & World Report for its bachelor’s programs and achieving regional accreditation, the educational standard in the US. Colorado Tech offers an Associate’s of Science online degree program in Accounting designed to prepare students for entry-level positions in the finance industry. This 93 credit program is accredited by the Accreditation Council for Business Schools and Programs (ACBSP) for added security and reputation. Students learn the basics of accounting, from tax and management to business law and computing, as well as foundational courses, fully online. Colorado Tech’s low tuition is a bonus for value. A small, private liberal arts college located in Henniker, NH, New England College focuses on challenging their students to transform themselves and their world while providing an experiential and creative learning community as a foundation. Founded in 1946, Henniker’s focus has always been on providing educational opportunity for adults, beginning with the many veterans returning from WWII to earn educations on the GI Bill. 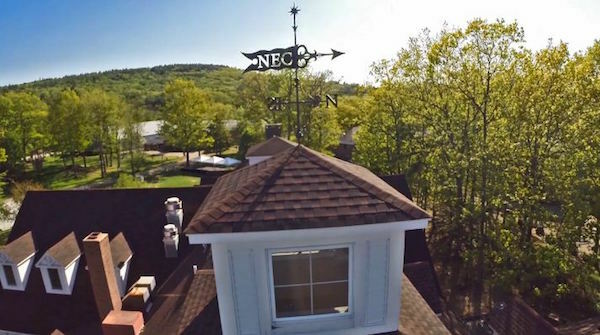 A regionally-accredited college with approximately 2000 on-campus students and 600 online students, people from all over the world are represented at New England College. NEC has even been acknowledged as one of the Top 25 schools who have seen the largest increase in diversity a study by Time Magazine. NEC’s many online courses have had a major impact on their diversity and reputation, including the Associate of Science in Accounting degree program, which can be earned fully online. A low price for a private liberal arts college makes NEC one of the most affordable deals in the nation. Once a seminary and junior college, Central Christian is a small, faith-based institution focusing largely on the liberal arts and professional education. While identifying as Free Methodist in denomination, CCC welcomes walks of all faiths into their student body. “Online Education for the Whole Person” is CCC’s motto, and just as it implies, they are committed to serving the needs of students’ heart, mind, body and spirit through their Fit Four philosophy and service-oriented online education. CCC has become known in recent years for their online degree programs, which are oriented toward working adult learners. Their online Associate of Arts degree includes a concentration in Accounting, giving students a grounding in management, tax, ethics, and more. As an added bonus, CCC Online includes textbooks in the tuition and fee costs for every online student. All online students are assigned a Student Success Advisor to help them succeed in their chosen degree program. CCC’s combination of affordability and support make them a competitor. 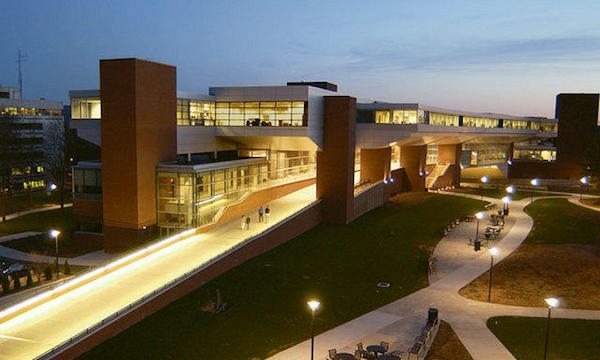 Davenport University is a mid-sized private university that specializes in professional and technical education, including business and healthcare. Headquartered in Grand Rapids, MI, Davenport is named for the inspiring teacher, Michael Davenport, whose leadership saved what was then a failing business school from closing. Since, then, Davenport’s emphasis on adult education has helped it grow into a multi-campus institution, as well as a proven online leader. Davenport offers a fully online Associate’s in Business Administration program with a concentration in Accountancy that is accredited by the International Assembly for Collegiate Business Education (IACBE). http://iacbe.org/ Two years (64 credits) of intensive Business study will prepare students to either further their education by transitioning into DU’s online bachelor’s or master’s programs or enter the work force with an entry-level position. Founded in 1971 as a small Christian college by Rev. Jerry Falwell, a well-known evangelist, Liberty University has grown far more than anyone at that time could have predicted – especially because few could have predicted online education back then. While Liberty educates more than 20,000 real-world students, their online degree programs have attracted five times that many, making them the largest online Christian educator, and one of the largest online educators period. LU Online is a great start to an entry-level career in Accounting while also providing an easy transition to their BS Accounting program (also offered online). Besides leading student to competency in communication, technological skills, and developing proficiencies in areas such as taxation, auditing and financial basics, all of Liberty’s degree programs follow an explicitly Biblical worldview and evangelical basis, including ethical and moral instruction. They are a prime choice for Christian online students. Florida’s second largest private college, located in the Space-Coast region in the city of Melbourne, the Florida Institute of Technology’s main mission is promoting elite science, technology, engineering, mathematics (STEM) degree programs; they also have a large aviation program. The university was founded in 1958 as the Brevard Engineering College and switched to its current name in 1966. While the 130-acre residential main campus of Florida Tech enrolls 4,633 students, its online student body of 3,466 is following close behind. Regionally accredited and recognized for its educational rigor, FIT ranks on several national lists, including U.S. News & World Report (#2 national/private in the state) as well as Payscales’s best of Florida with a 20-year net return on investment (ROI) – an average of $620k! FIT’s online degree programs include an Associate of Arts in Accounting which combines a liberal arts curriculum with accounting fundamentals, critical and analytical skills, and management and business basics. Pennsylvania State University got a whole new identity when it founded the Penn State World Campus in 1998. Long recognized as one of the top national universities, Penn State had also pioneered distance education, beginning with correspondence courses in 1892, making it a logical step to move into online education even when other reputable universities were uncertain of the internet. It was an important choice, and has helped identify Penn State World Campus as one of the premiere online educators in the world. Penn State’s online Associate of Business Administration brings all the quality and reputation of Penn State’s business programs to an affordable, convenient format. Students learn effective communication, decision-making skills, and the most current technological tools available for accounting. Penn State online ABA gives students a broad mix of business-focused courses as well as general education classes and can be used as a stepping stone to obtaining a bachelor’s degree or even a Master’s of Business Administration.